SKU: CE655454 Categories: Hot Pink, Black, Pink Zebra Boutique, Napkins, Glamour, Zebra, Pink Zebra, ON SALE! 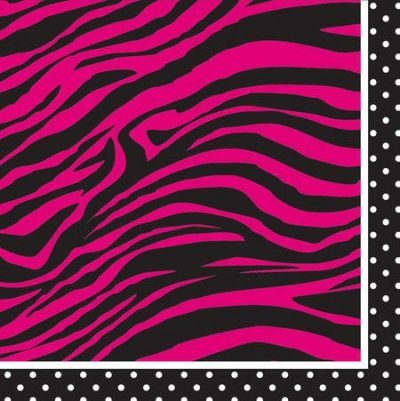 These cute 3-ply beverage sized Paper Napkins ~ Pink Zebra Boutique are perfect for a girly party. A popular choice for glamour parties, pink zebra parties and Hen’s nights.